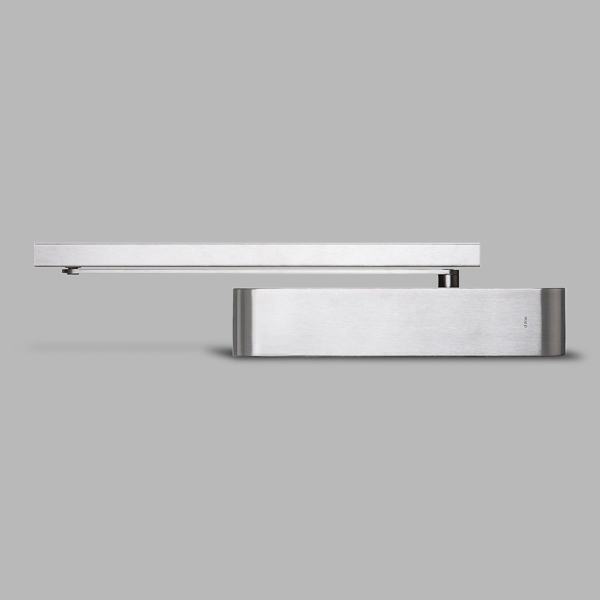 d line door closers are among the most attractive in the industry. The brand is known throughout Europe and North America for its iconic yet simple line of high quality stainless steel products. 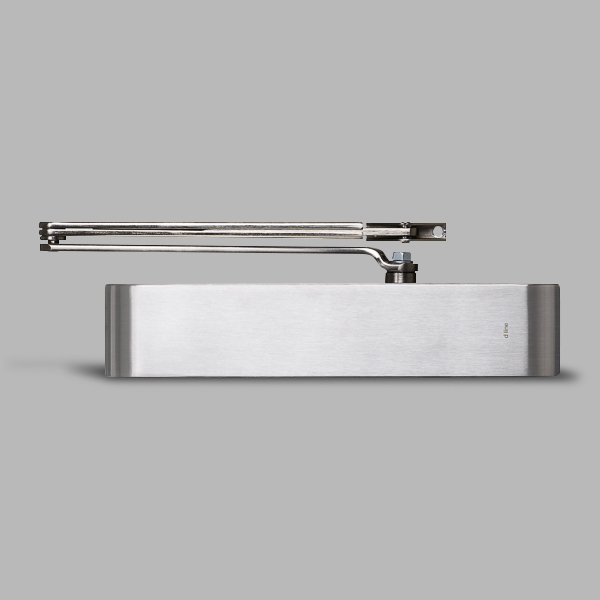 These door closers feature brushed stainless steel covers with smooth, curved edges, along with fully adjustable mechanisms for reliable performance. The covers are brushed and detailed by hand at d line’s factory for a truly superior finish. d line partnered with dormakaba to design the internal components of the closers. Several configurations are available, including rack-and-pinion, sliding track,floor closers, concealed mounting and electronic hold-open. Applying one of d line’s PVD finishes – gunmetal, copper, charcoal and brass – gives even more design options. Download the d line door closer catalogue here. Contact Trillium Wholesale for pricing.